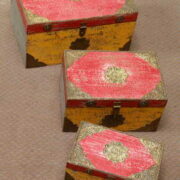 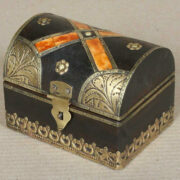 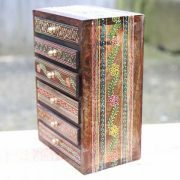 Slim wooden draw box with three ceramic drawers and hand painted floral designs. 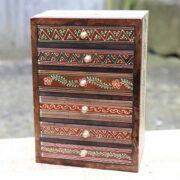 These wonderful slim drawer boxes come in all sorts of different colours. 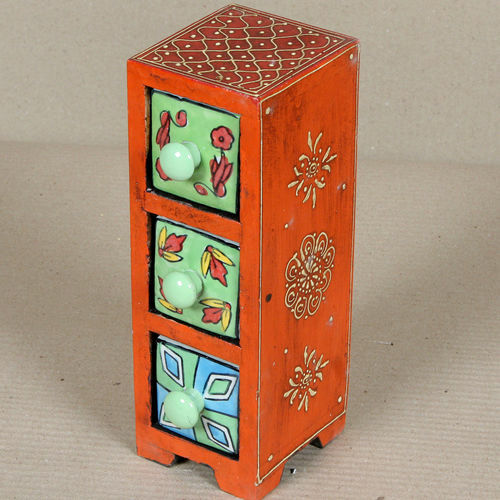 Each with a hand painted wooden box and ceramic drawers, they have been beautifully hand painted with floral designs that add colour and character to these handy items. 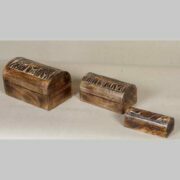 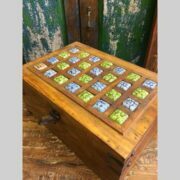 These particular drawer boxes have three ceramic drawers on top of one another and are perfect for storing jewellery, keys or any other precious items which have a habit of getting lost. 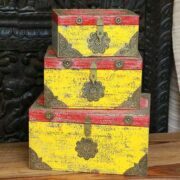 An affordable option perfect for a child’s bedroom or as a gift for a friend or relative, these items are very popular. 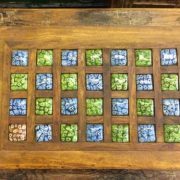 Don’t hesitate to contact us to see which colours we have available or just place an order and see which beautiful colour scheme you get, we assure you that you won’t be disappointed. Colours and patterns vary on every item, picture above is to be viewed as an example as it shows the shape and design of the piece.